The Spindle Clock (1957) is one of more than 150 clocks designed by George Nelson Associates for the Howard Miller Clock Company, which sold them from 1949 into the 1980s. Nelson Associates, first launched as a studio by George Nelson in 1947 in New York City, employed some of the most celebrated designers of the time, including Irving Harper, Don Chadwick and John Pile, all of whom contributed to the clocks. Until its closure in the mid-1980s, the company designed a range of products for many clients, including Herman Miller, Inc., which was established in 1923 by Howard Miller’s brother-in-law, D.J. De Pree. A bit of family history: De Pree also founded the Herman Miller Clock Company in 1926 but turned it over in 1937 to Howard, who renamed it. As for the identity of Herman Miller, he was Howard’s father and De Pree’s father-in-law. The Miller companies are not affiliated but stand across the street from one another in Zeeland, Mich. The Spindle Clock was designed by Lucia DeRespinis, now a professor at Pratt Institute in Brooklyn, N.Y. It appeared in the original Miller brochure as Model 2239. 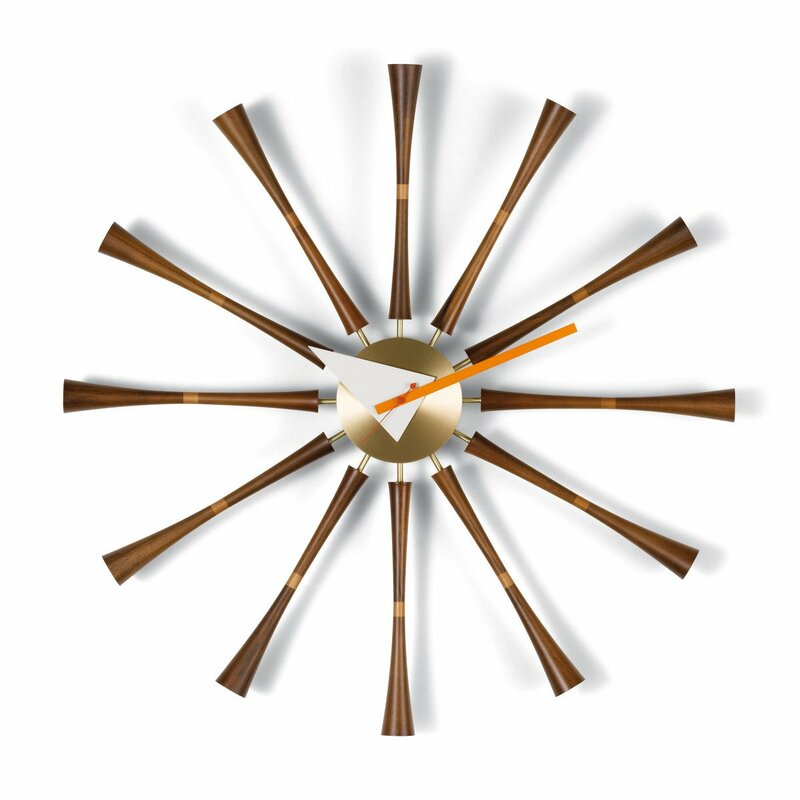 This is an authentic Nelson Clock, produced by Vitra Design Museum. Uses one AA battery (included). Made in Poland.